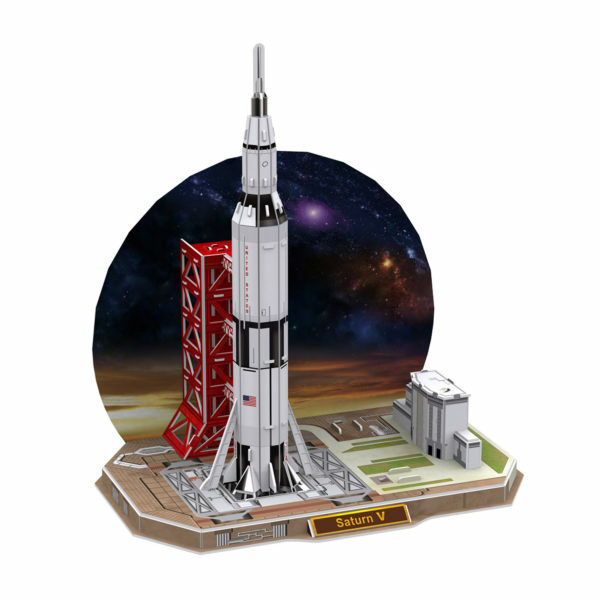 Saturn V 3D puzzle. Easily assembled, the puzzles are made from printed foam board, no scissors or glue are required. All the pieces are numbered and detailed instructions are supplied. Puzzles can be taken apart and rebuilt. Each puzzle makes a stunning desktop display. 68 pieces: 34 x 22 x 38cm.